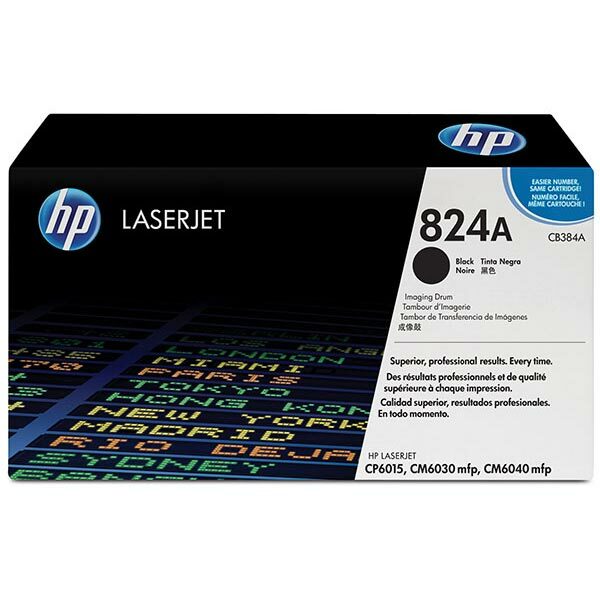 HP 824A (CB384A) Color LaserJet CM6030 MFP, CM6040 MFP, CP6015 Black Original LaserJet Image Drum (23,000 Yield). Produce office documents with crisp, black text. Original HP toner cartridges deliver consistent, print shop-quality results on a wide range of laser papers designed for professional office printing.